Or, that magically there will be a massive demand for it and customers will be out looking for the invented product. For as long as Bold Patents has been around, and the Patent Attorneys behind it, we have enlightened inventors to understand the bigger picture and challenged them, right from the onset, that they should fully understand that it takes both a new technology and a solid business plan to make any product or service have a lasting impact on the economy. We go beyond patents, providing you business expertise to ensure both patentability and marketability of your invention. 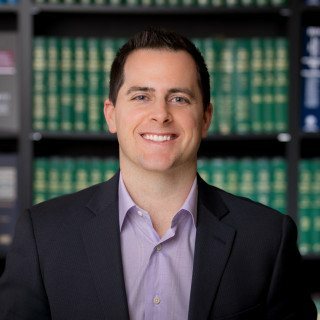 J.D.’s passion for business and technology started well before he began his legal career. J.D. worked as an engineer at Boeing for nearly 10 years. J.D. spent his time at Boeing in payloads design, regulatory compliance, systems integration and project management on the new 787 airplane. J.D. brings this experience earned at the cutting edge of technology to his clients by recognizing the complexities and subtleties of the problems being solved today. Academically, J.D. has earned a law degree and an MBA from Seattle University. Design, Integration and Certification of Commercial Jet Liners. The number of client reviews earned me the Client's Choice Award. Earning this award was made apparent by an email notification I received from Avvo, and allowed me to display a badge on my profile representing my earned award. You are awarded the Clients' Choice badge if you receive five or more 4+ star reviews in a calendar year. It links to your Avvo profile. We strive to serve everyone from solo entrepreneurs and small businesses to fortune 500 companies with our IP services. Bold Patents focuses on intellectual property law, including Patent Prosecution & Litigation, IP Licensing, Trademarks, Copyright, & Trade Secrets. Because we know for many start-ups and emerging businesses, protecting your IP is a big deal. Therefore, after getting to know you, your company, and the big picture, Bold Patents attorneys and agents will be better positioned to help you leverage your company’s intellectual property assets and turn them into bottom-line profits. You Can Change the World! Go Big! Go Bold!